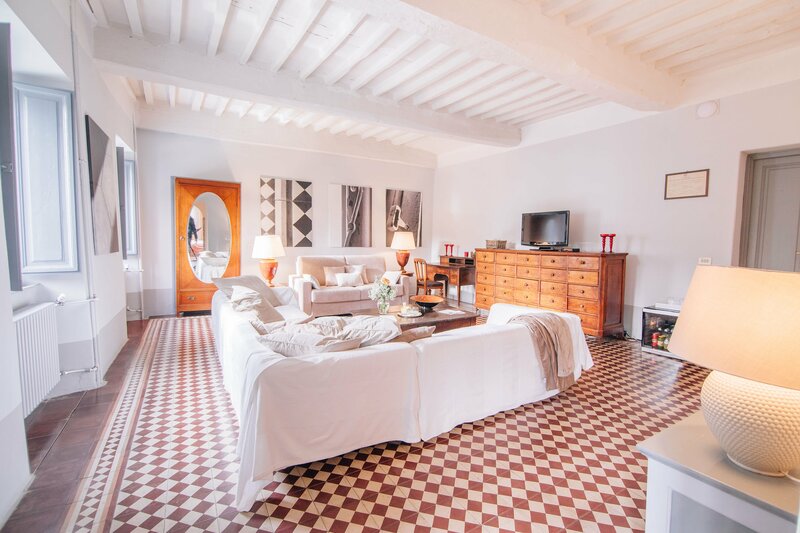 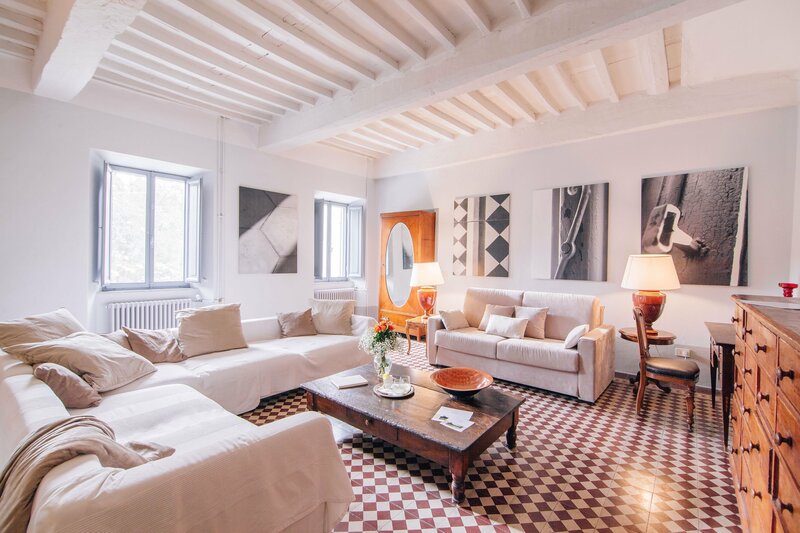 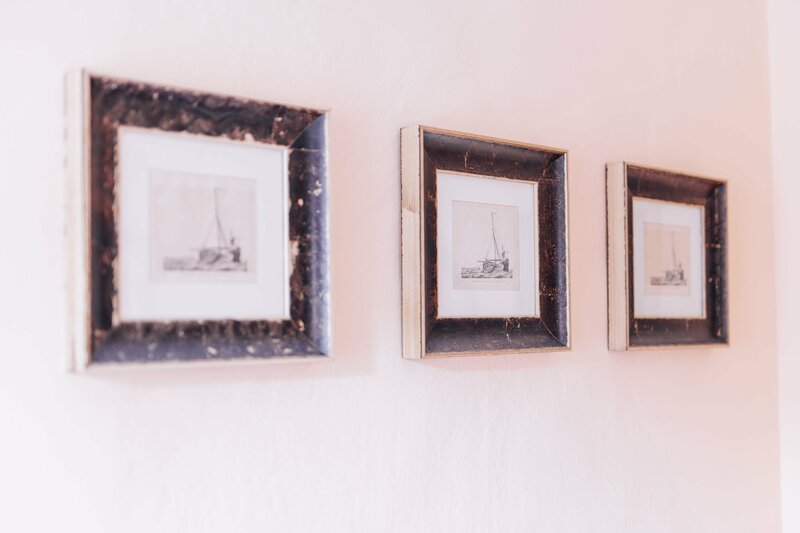 This charming and elegant ground floor suite consists of a large living room with a comfortable sofa, TV, bookshelves, wonderful artistic prints of Villa La Bianca details and a drawing room which leads to the bedroom. 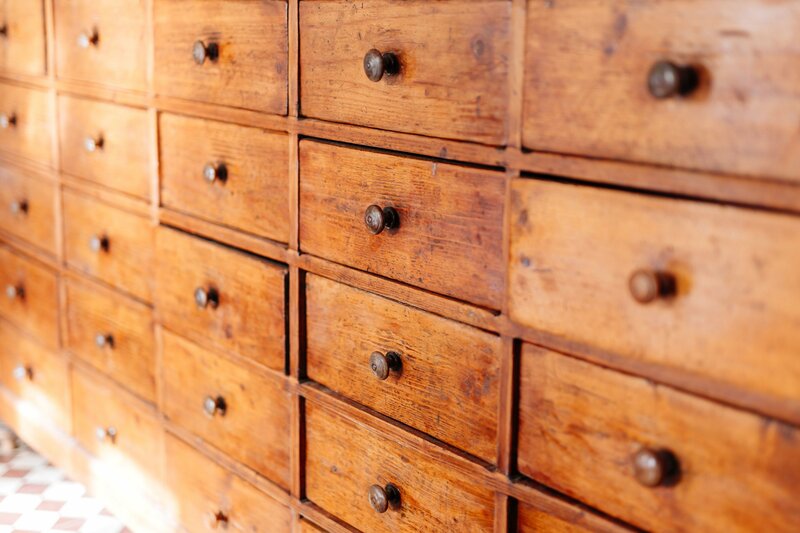 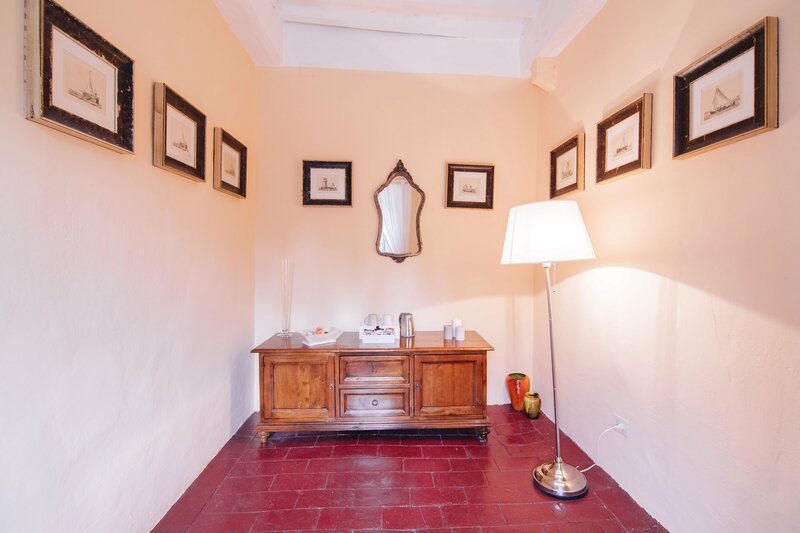 Furnished in a soft and relaxing style, its colours are typical of the 19th Century Versilian farmhouses. 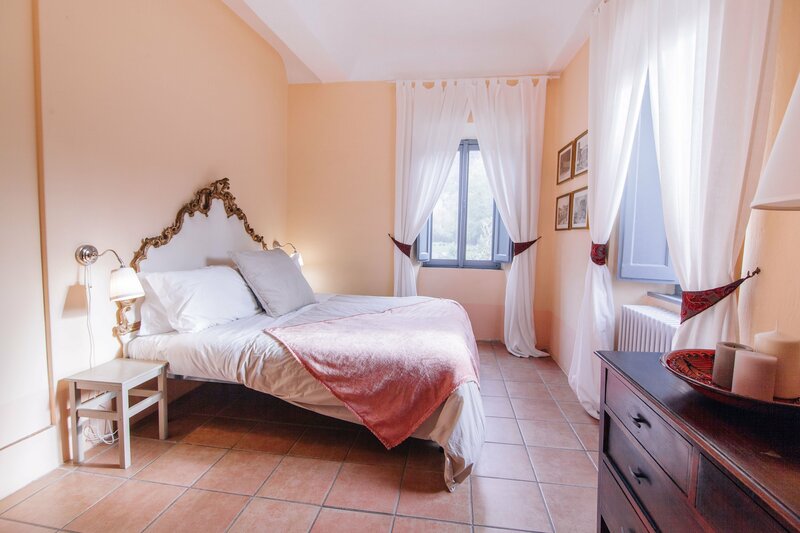 There is a beautiful double bedroom and a bathroom with shower and the windows look out onto a wonderful view of the park and Apuan Alps.